This garment is great for both day and night use, according to New Zealand rules and regulations about hi viz apparel. 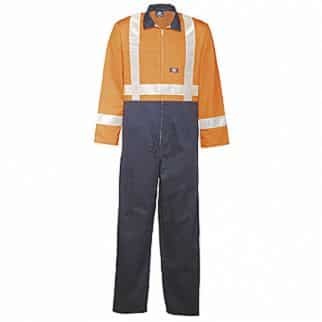 Alsco offers variety of industrial uniforms, hence, we also have the Two Tone Polycotton Overall with Tape. This garment is also made of high-quality polyester fabric that is known for durability, sweat-resistant and is it is also breathable.